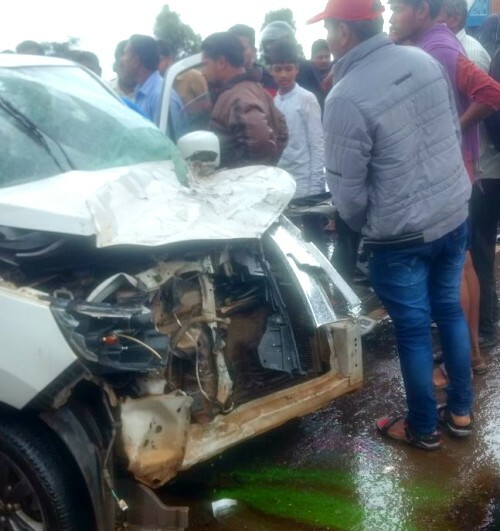 In a very unfortunate accident Sashidhar M Angadi aged 73, died on the spot as his car was hit by a Canter near Ymanapur on NH4 today afternoon. According to the police, the Canter was going to Kolhapur from Belagavi and the Car was coming from Gokak in the opposite direction. The Canter driver lost control and jumped the divider and hit the car and Angadi was killed on the spot while the driver was injured and is been treated in hospital. He is survived by two sons, wife and grandchildren. Next articleService road on Old PB road only on one side?